David Dowell, PhD, was a librarian for 35 years and a special investigative officer in the USAF for 4 years and has two degrees in history and two in library science. He has researched family histories since the 1960s. 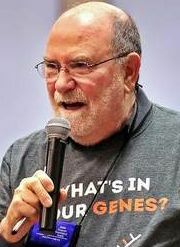 His most recent books are NextGen Genealogy: The DNA Connection (2015) and Crash Course in Genealogy (2011). Previously he taught “Genealogy Research” and “Ethics in the Information Age” at Cuesta College and chaired the Genealogy Committee and the Ethics Committee of the American Library Association. He blogs as “Dr. D Digs Up Ancestors” at http://blog.ddowell.com and coordinates three DNA projects.